The Xbox 360 used to help take down an embezzling mayor is up for auction, in case you prefer your console steeped in political wrongdoings. 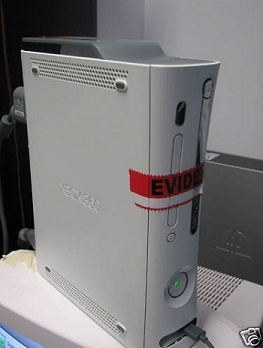 Former Mayor Sheila Dixon of Baltimore was forced to resign from office after items such as this Xbox were seized from her home and used as evidence in her 2008 embezzlement trial. She was found guilty of stealing $500 worth of gift cards intended for the poor, as well as not reporting a number of lavish gifts. Dixon made use of the Alfred Plea, which means she maintained she was innocent but ceded the jury had enough evidence to convict her, and was sentenced to 500 hours of community service, in addition to the seizure of a number of valuable items in her possession. Among the possessions being sold is her Xbox 360, currently available for more than $500 on ebay. The Xbox 360 is listed as having one controller, a copy of Need for Speed, and no warranty. It appears to be in "great condition," notes the ad, and the proceeds will benefit Youthworks, a program created by Dixon for employing city children over the summer. Maryland Prosecutor Robert A. Rohrbaugh confirmed the Xbox is indeed the former Mayor's. It's nice to see the embezzled money is going back to the Baltimore community, where it belongs.